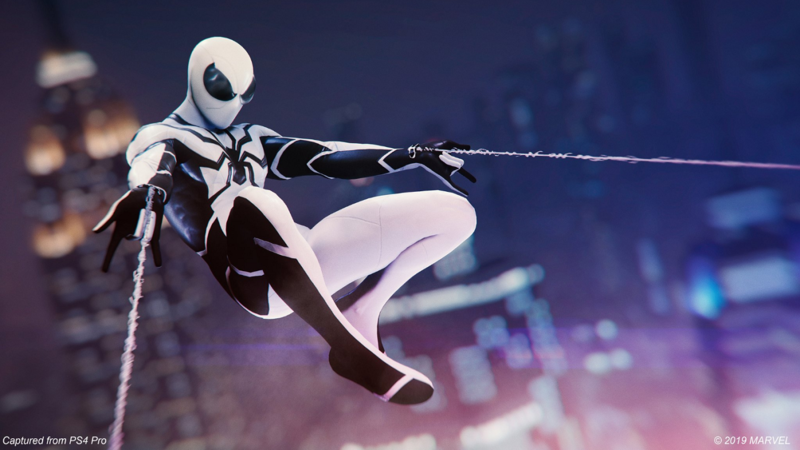 Marvel’s Spider-Man is getting two new suits as part the Fantastic Four Week celebrations. 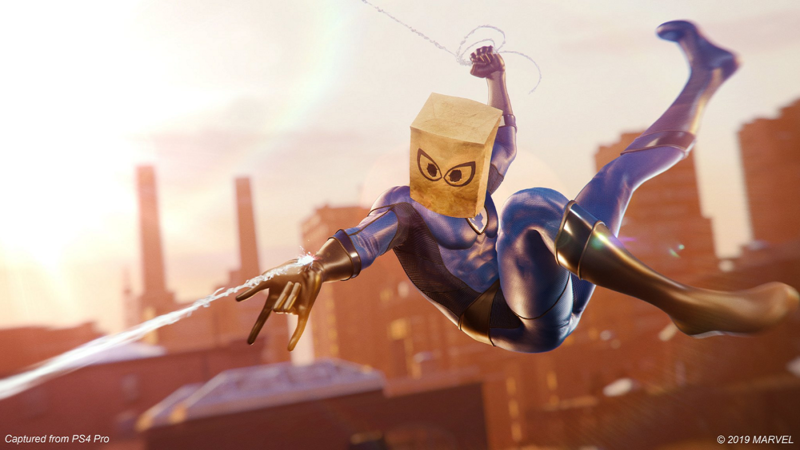 The Bombastic Bag-Man and the Future Foundation suits are available in-game right now with patch 1.14. Marvel teased the Fantastic Four themed content at the beginning of January, and revealed the surprise today on Twitter. 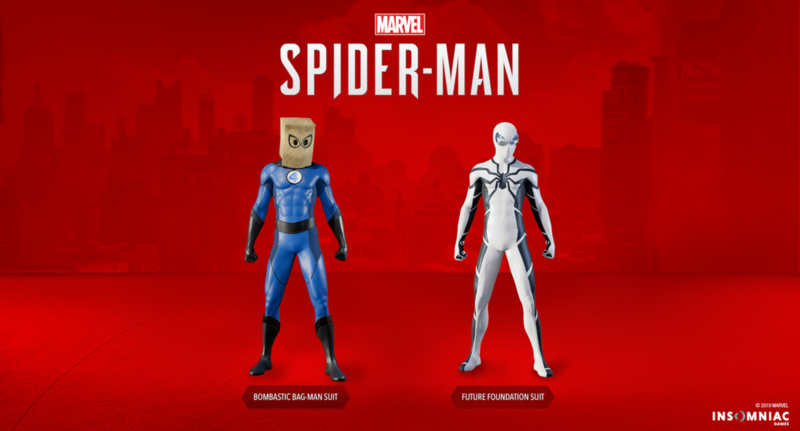 A blog post on Marvel’s website details the background of the two suits, which you can take a look at below. “One of Spidey’s most memorable moments with FF happened in AMAZING SPIDER-MAN #258. Peter swung by FF’s Baxter Building to have Mister Fantastic examine and remove the symbiote he was wearing. In order to navigate the hard streets of NYC in just his knickers, the Fantastic Four loaned him one of their costumes. The Future Foundation suit is from Fantastic Four #579. The last new suit to be introduced to the game was the Raimi suit. If you still haven’t unlocked all of the suits yet, here’s a handy how-to.